Whether you are looking for an up-gradation to the latest version of SharePoint or simply want to shift your existing SharePoint instance to the cloud server, Creative Web Designer has the right skill set to ensure a smooth, affordable and efficient SharePoint migration with limited end user disruption and downtime. Creative Web Designer has its own advanced and revolutionary migration methodology that comprises industry best practices to promote a precise alignment between the business objectives and the design & implementation of work conducted to meet the specific objectives of your business. Though the process of SharePoint migration is quite complicated, but our highly qualified team of SharePoint migration starts every entrusted project with in-depth analysis of you business needs and present SharePoint infrastructure. Our team works in coordination with our clients to better understand their specific requirements and business objectives. In adherence to all these factors, we will determine and define the best suited SharePoint migration plan that is tailored to your objectives. Creative Web Designer implements that right set of tools that simplifies the entire process of migrating content from a wide variety of sources including, Stellent, Documentum, eRoom, Jive, AppXtender, Lotus Notes and File Shares over SharePoint 2007-2013, both in-house and over the cloud server. 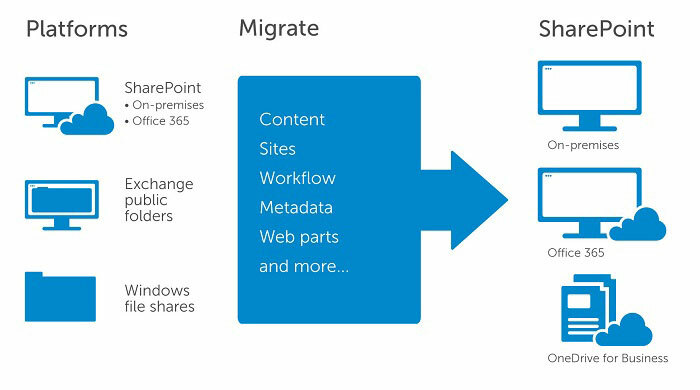 The SharePoint migration services we offer include in-depth analysis, prototype, planning and implementation of different sources. Our revolutionary and proven methodology have already migrated Terabytes of data to SharePoint in most sophisticated customer environments. Being the leading SharePoint consultants, we are not just limited to complex SharePoint deployments; instead we specialize in both Microsoft technologies and other modern and legacy application that you may want to integrated with your existing SharePoint.